I, fortunately and only in retrospect (like 20 years retrospect), was taught these skills explicitly and very early (and there is a pun intended, because my study skills class was during zero period, starting at 7:30 am) the very first semester as a high school freshman–and lucky I did. But, I’m getting ahead of the story. Mr. Coombs taught the class, cheerily as I remember, teaching us shorthand, that he likened to the word truncation on license plates, for notetaking and frankly pointed out what information I needed to listen for, during class lectures, watching VHS videos (yes, I went to high school in the late 80’s) and from readings. He taught me what information was going to help me earn grades I expected from myself, as well as manage the pile of work he knew I would be expected to complete for the advanced classes I was about to undertake. He also required us to turn in weekly calendars, checking if we wrote down every assignment, and giving me space to try out techniques for completing the “to-do” lists I created, which helped me transition from paper organizers to my Franklin planner to Outlook for my company. My advantage, and one that served me all the way through graduate school at Harvard, was someone took the time to teach me HOW to learn; someone didn’t just expect that by assigning me a pile of work, I’d somehow find a way to manage by my fourteen year old self. Many thanks, Mr. Coombs. 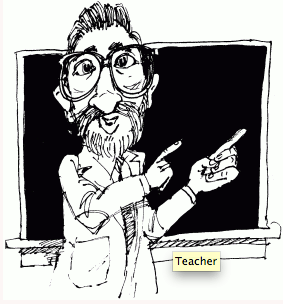 Before running to a tutor, stop and ask a few more questions about the challenges of a class or why a student isn’t earning an expected grade–especially in a subject “that’s always come easy.” The interaction that the student is making with the content can need adjusting; for example, maybe the teacher is an auditory learner and naturally teaches by lecture, where the student is more visual and needs written diagrams to understand. Find your own Mr. Coombs (and he’s long retired by the way) that can help better “diagnose” the issue in a class, before hiring a tutor. Then, a student may benefit greater in the long term, as learner and future professional contributing to the productivity of the global economy. “Parent Involvement”: Only for Bake Sales?